WordPress is known to be one of the most popular platforms for website development. With its increasing popularity and utility, the number of WordPress themes has started rising progressively. There are hundreds and thousands of free responsive WordPress themes available in the market, therefore, it becomes quite a task to choose the best one. In 2018, web designers are looking to built responsive sites which are compatible with various hand-held devices and smart watches, TV. If you want to make a change or want some suggestion in this direction then try out some of these hand-picked and quality free WordPress themes for you can use to create amazing websites. This is among one of the most loved and trending themes present on WordPress.org. If you are searching for the responsive one-page WordPress theme, Zerif Lite is one to go for. It is built on Bootstrap with Parallax support. This one has highly customizable theme options. It is a versatile theme which can be used by various kinds of websites like Corporate, Personal, and Photography Portfolio etc. Not only this, it is easily compatible with WooCommerce, Retina Ready, and RTL ready theme. 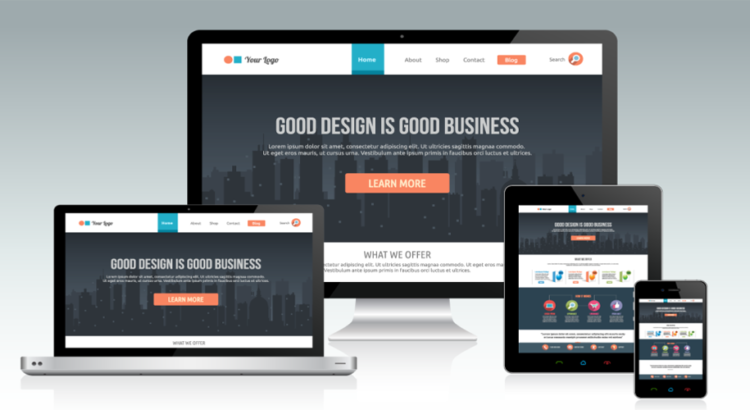 It is a beautifully designed simple yet responsive WordPress business theme. Its features allow you to build the website easily and in very less time. Its Services Layout, Blog Layout, Testimonial Layout, Social Media Integration, featured slider makes it a multi-purpose WordPress theme and suitable for any kind of business. Easy compatibility with mostly used WordPress plugins along with fast customer support via email, live chat and support forum makes it must-have WordPress themes in 2018. This is fully responsive fully responsive yet lightweight WordPress theme. It works perfectly with various handheld devices, desktop browsers as it is built with the help of responsive grids which adjusts its elements and shrinks in size accordingly. It easily differentiates every single post from any one of the supported formats like Aside, Status, Audio, Video, Image, Link, Gallery and Quote. For better readability, it uses Google Fonts and is built using Bootstrap3, Compass and SASS. This theme is highly compatible with BuddyPress and bbPress. It is a Bootstrap based minimal free WordPress theme with a one-page design. Offers premium like theme features with the high degree of customization. It comes with lifetime support and updates. It is WPML ready and is easily compatible with PHP 7, Chrome, Safari, Firefox, IE9+, Opera browsers. This theme features various readymade designs to develop eye-catchy websites. Looks great on any kind of device may it be Tablet, Desktop, Mobile or Laptop. It also offers multiple color options and its main highlight is that it is retina ready. If you are looking for multi-use, clean, friendly looking and extremely spacious WordPress theme then Spacious is best suited for you. It can fit into any type of sites. It uses the slider with stunning features along, a boxed layout, custom widgets focusing on the business template as well as colorful icons and buttons. This theme uses well-sorted content so that it can dwell in less space. It can be used to design any kind of site like Business, Portfolios, and Blogging etc. It is compatible with WooCommerce and is translation ready. This theme is currently supporting 70,000+ sites single handily. This theme is an extraordinarily coded superfine multipurpose responsive WordPress theme. It is a flexible and responsive theme based upon Bootstrap CSS framework designed to be adopted by any website which could be on handheld devices, laptops or on any other viewing environment. Engima is focused on providing usability across different devices. It is retina ready and is a cross-browser compatible theme that works for all chief browsers. This theme has become the first choice among all WPML lovers for its exceptional designs and amazing capabilities. If you are looking for most customizable free WordPress theme ever then you have got to have Suffice. This theme is highly flexible and allows you to create any kind of websites as per your needs and likes. This theme is sufficient for developing websites with a wide range of purposes and niches counting websites, agencies, corporate etc. It is a drag and drops WordPress theme basically powered by Suffice Toolkit plugin and Site Origin’s Page Builder. It is easy to use and offers elegant designs. It provides 11 handy custom widgets which can be used by beginners to develop professional websites quickly. 8. Llorix One Lite- It is one of the most flexible WordPress themes from recent past three years and also one of the most trending free WordPress themes at WordPress.org. Llorix One Lite is very user-friendly and can be customized. It comes with an incredible one-page design along with its Parallax effects this theme will surely leave an impression on your site visitors. One more feature which adds to the flexibility of this theme is its compatibility with most popular plugins like Site Origin Page Builder, WooCommerce, WPML, Photo Gallery Grid, bbPress, Meta Slider, Contact Form 7, and Jet Pack etc. It is a one-page parallax responsive modern style WordPress theme. It is crafted to match multiple website purposes. The Himalayas can be used for designing almost any kind of sites be it Business, Freelance, Agency, Portfolio, Photography, Corporate etc. This theme displays all services, call to action button, about page, team members, blogs, portfolios, contact page of your company in just single page and you will be amazed to know that all these sections are actually widgets Just scroll from up to down in ‘Front Page Sidebar’ and there you have control of order of section in single page. Basically, it’s a flexible theme that allows you to customize things as per your likes. This is one of the beautifully crafted simple, elegant Bootstrap based WordPress theme which is used for multiple purposes. It comes with clean and stunning designs crafted to put content first. Since the theme is powered by a trendy parallax effect hence is named as Parallax One. It offers smooth scrolling, a contemporary appearance and has a shop section as well. It has also got an advanced theme options panel through which you can upgrade your website settings. All in all, it can be mentioned as one of the highly customizable free WordPress themes. WordPress is known to be the highly powerful platform for developing your website so if you are planning to go for one. There are the plethora of WordPress resources present on the web that offers you multiple choices for creating a website as you desire. Here we have enlisted 10 Best Free Responsive WordPress Themes in 2018 you can consider choosing from as these are adored by many for their usability and great features. Hoping these will be of great help to you.